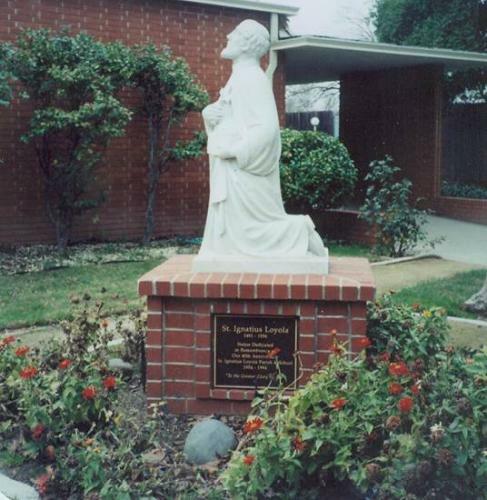 The faith life of St. Ignatius Parish School is rooted in Ignatian Spirituality. We celebrate the presence of God everywhere; in ourselves, in others, in our daily lives, and in our world. seeks to find the divine in all things—in all peoples and cultures, in all areas of study and learning, in every human experience, and (for the Christian) especially in the person of Jesus. cultivates critical awareness of personal and social evil, but points to God’s love as more powerful than any evil. empowers people to become leaders in service, men and women for others, whole persons of solidarity, building a more just and humane world. From An Ignatian Spirituality Reader, edited by George W. Traub, SJ. What is “Magis?” [pronounced "màh-gis"] It is a Latin word for “more,” and is taken from the motto of the Society of Jesus (the Jesuits), “Ad Majorem Dei Gloriam” which is translated, “For the Greater Glory of God.” Magis is a key element of Jesuit spirituality, inviting us to do more and to become more in the hope of offering greater service. The Jesuit tradition calls us in all matters to seek the greater good, the magis and become men and women for others. We are created to praise, reverence and serve God. Recognize that the initiative for all that happens in us is from God. Generosity was one of the most important dispositions Ignatius looked for in individuals. Seeking excellence in self and ready to encourage others. We want to share this special prayer with all our parents. The eighth grade class worked together to write a modified version of the Prayer of St. Francis. They used Ignatian ideas to add reflections to the prayer. They led the school in this beautiful prayer after today’s Mass. one another and Find God in ALL things.